As a frequent traveler, I am excited to learn that there's a fast track way to earn points and redeem free flights now. I believe this will excites many of you too hence do read on to find out more about it. 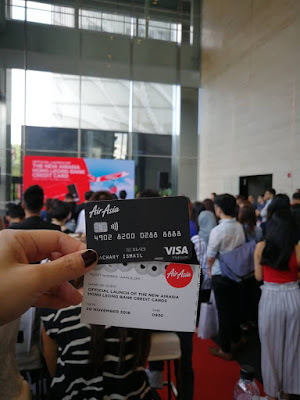 My favourite airline; AirAsia continues to lead the way in travel credit card partnerships with the launch of the AirAsia Hong Leong Bank Credit Card with Hong Leong Bank Berhad (“HLB” or “the Bank”), as an exclusive ticket to free flights on 30th November 2018 at Menara Hong Leong, Damansara City. It was a beautiful Friday morning where everyone looked eager and excited to the grand launch. The launch was part of the regional introduction of the AirAsia Credit Card, a must-have for both casual travellers and frequent flyers to earn BIG Points faster, which can be redeemed for free flights and more with AirAsia, the world’s best low-cost airline. 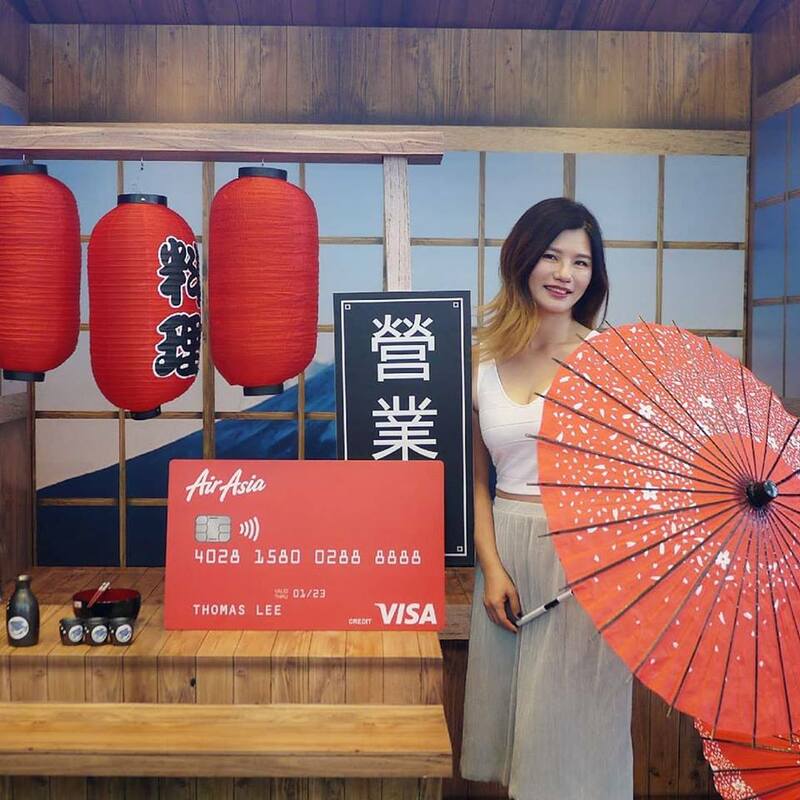 The AirAsia Hong Leong Bank Gold Credit Card and AirAsia Hong Leong Bank Platinum Credit Card are the ultimate travel credit cards that enable cardholders to easily get free flights and more, with every ringgit spent automatically earning them bonus BIG Points. 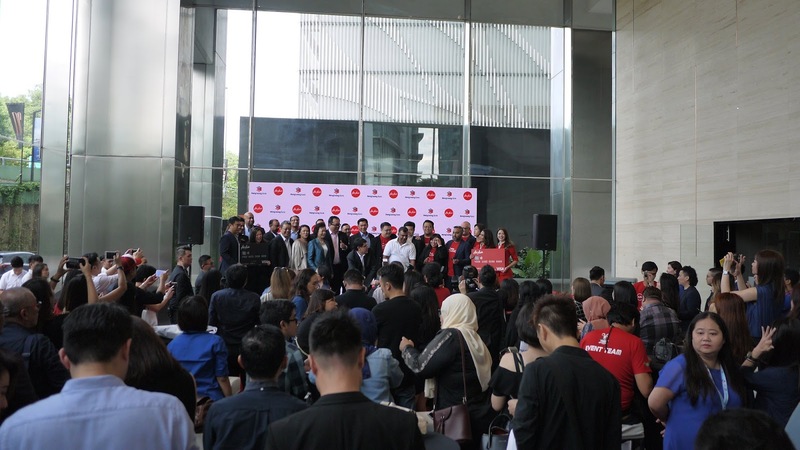 To kickstart their fast track to free flights, cardholders will enjoy incredible welcome-to-card as well as quarterly bonuses of up to 25,000 BIG Points - good news for cardholders who actively use the AirAsia Hong Leong Bank Credit Card in pursuit of redeeming flights. Cardholders can also accumulate BIG Points faster with a combination of low spend yet high earn rate - 6 BIG Points for every RM1 spent on AirAsia flights and 1 BIG Point for every RM2 international spend or RM3 local spend on the AirAsia Hong Leong Bank Platinum Credit Card, or RM5 local spend on the AirAsia Hong Leong Bank Gold Credit Card. 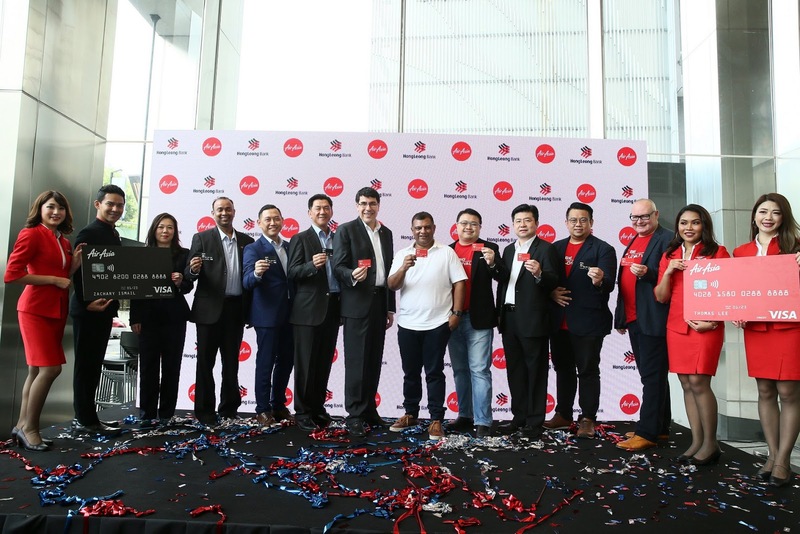 In addition, AirAsia Hong Leong Bank Platinum credit cardholders will enjoy exclusive airline privileges such as free introductory inflight WiFi plan, priority check-in and boarding, Xpress baggage as well as an instant upgrade to BIG Platinum Membership Status to speed up BIG Points earning on qualifying flight bookings. 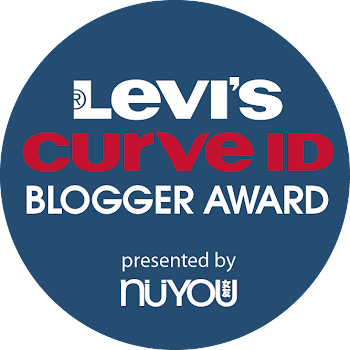 “As a Bank that is constantly looking for new ways to delight our customers, we know that we need to present a product that features simplicity in usage, superiority in value and seamless experience. It has to be intuitive and integrated in the day-to-day activities of customers and avoids the need for a separate interface. 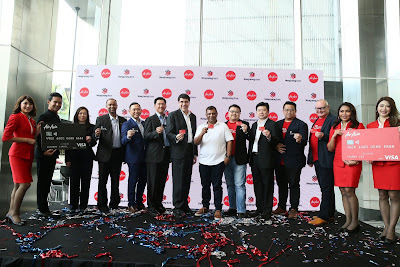 We are delighted that the AirAsia Hong Leong Bank Credit Card will reward customers with truly tangible value with each usage, enabling them to enjoy more exciting and memorable travel experiences as each spend will automatically earn points for their free flights seamlessly,” added Fuda. In the Philippines, the AirAsia Credit Card is the first co-brand credit card for AirAsia in the country. The credit card will soon make its way to Indonesia. In fact, we wish that AirAsia Credit Card will be available in more countries to benefit the travelers everywhere. Sign up for the AirAsia credit card at airasiacards.com to kickstart a journey of free flights and exclusive priority privileges to take your travel experience to the next level. I have already signed up for it, what are you waiting for? good to know as long time didn't take any flight now. I sure missed travel now need a vacation but need to plan it soon. Anyway I can I can tell my friends about this too. Frequent traveller should have this card as they can get so many rewards and privileged after spending. Will spread this info with my frequent traveller friends about this. Kalau other bank card holder xdapat ke fast track? Sbb kdg2 self check in kiosk pun problem.